Phantom limp pain is an occurrence for many who have had a limb amputated. Mild to extreme pain can be felt in the area where the amputation occurred, and for some the pain sensations will disappear or decrease over time. However, there are some who suffer with phantom limb pain for months and years on end. In the past, the prognosis for improvement was poor. Now thanks to the qualified physicians at Ortho Sport & Spine Physicians are able to help patients who suffer from Phantom Limb Pain find long term pain relief. Although a limb has been removed, there are still nerves at the site of an amputation. These nerves have had to be cut through the amputation process, but because nerves are active within the body they still send signals to the brain. 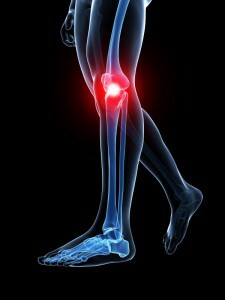 Often times, the signals that they send are of pain, tingling, temperature changes, and cramping. Any sensation that the full limb could have felt prior to amputation can be felt after a limb has been amputated. At Ortho Sport & Spine Physicians, our dual board certified physicians use the latest minimally invasive techniques to help our patients find relief from Phantom Limb Pain. If you are suffering from Phantom Limb Pain, contact Ortho Sport & Spine Physicians today to schedule an appointment to meet with one of our physicians. All of our patients are given personalized care based on their specific needs.